 Welcome to the joint FAO-UNITAR online course on "Gender-Sensitive Value Chains"
Course Title: FAO-UNITAR online course on "Gender-Sensitive Value Chains"
Fees: The course is offered free of charge. Limited slots are available and will be subject to a selection process conducted by FAO. Please register early to be considered. In recent years, trade liberalization, globalization, technological advancement and other major trends have brought important changes to agricultural and food systems. These changes have yielded positive results, such as opening up new markets and creating successful linkages between producers and markets. However they have also created new challenges for rural actors to gain access to and benefit from local, national and global markets (FAO 2013c). Women in particular experience more difficulties compared to men in accessing productive resources, participating in and benefitting equally from agrifood value chains. Women make up 43% of the agricultural labour force and are profoundly involved in the production of food and cash crops worldwide, as well as in fishery, forestry and livestock. This ‘gender gap’ represents a missed opportunity to secure sustainable development for the agricultural sector as well as improved food security and nutrition for all (FAO 2011c). It is the role of the Food and Agriculture Organization of the United Nations (FAO) to make sure that current processes of growth and commercialization in the agricultural sector do not lead to further disempowerment of women and girls and contribute instead to the sustainable development of agrifood systems. The inclusiveness of agricultural food systems depends on the extent to which they allow the most vulnerable groups (such as smallholders, small enterprises, women- and youth-run enterprises) to have access to the resources and services they need and to participate, benefit and earn a living wage from their activities. Working towards inclusiveness, social justice and gender equality in agrifood systems entails addressing all levels of the value chain, from the individual producer to the end-market, and coming to a comprehensive understanding of the issues and constraints that lead to the exclusion and marginalization of stakeholders along the chain. Over the last decade, the value chain (VC) has established itself as one of the main paradigms in development thinking and practice and is now recognized as a key concept in the development of sustainable food systems. Given the large amount of heterogeneous practices and publications that accompanied the rise of the VC paradigm, FAO responded to the growing need for a unified conceptual framework and practical guidance by inaugurating a series of handbooks in 2014 on sustainable food value chain development (SFVCD; FAO 2014). The purpose of this framework and the accompanying set of guidelines is to contribute to this series of publications in order to ensure that gender equality dimensions are more systematically integrated into programs and projects, so that women and men can benefit more equally from VC development interventions and subsequent improvements in VC performance. To roll out this approach for Gender-sensitive Value Chain Development (GSVCD), FAO intends to develop the expertise of project managers and designers, staff of extension and advisory services and policy makers to build an expertise that combine gender and value chain expertise.